Manila - The Philippines' anti-corruption court on Friday ordered the arrest of former first lady Imelda Marcos after finding her guilty on seven counts of graft during the two-decade rule of her husband and former dictator, Ferdinand Marcos. 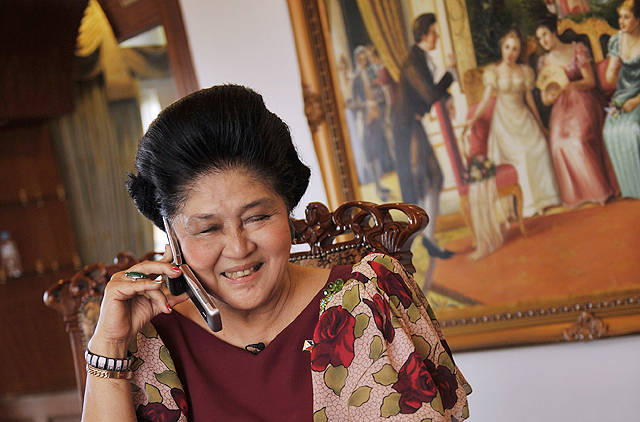 The court ordered Marcos, a congresswoman, to serve six to 11 years in jail for each of the seven counts of graft. She was charged for making seven bank transfers totalling $200 million to Swiss foundations during her term as Manila governor. He was accused of amassing more than $10 billion while in office and died in exile in 1989. Duterte's spokesman, Salvador Panelo, said in a statement the ruling against Imelda Marcos was proof that the executive "is not in the business of exerting undue interference or influence" on courts, and therefore respects the decision.